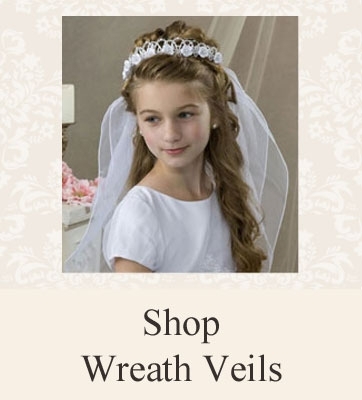 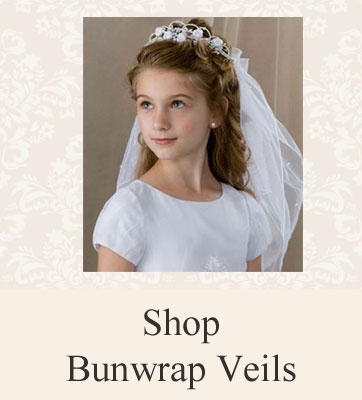 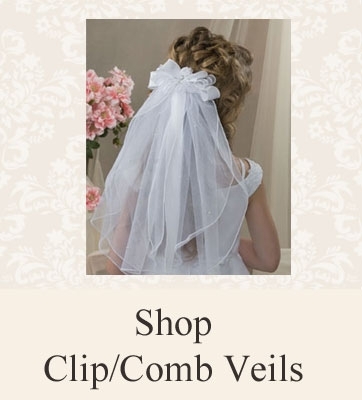 Buy First Communion Veils for sale in a variety of styles including Wreath Headpieces, Crowns, Tiaras, Bun Wraps, Headband, Clip or Comb style. 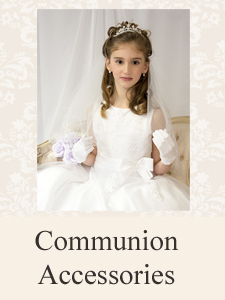 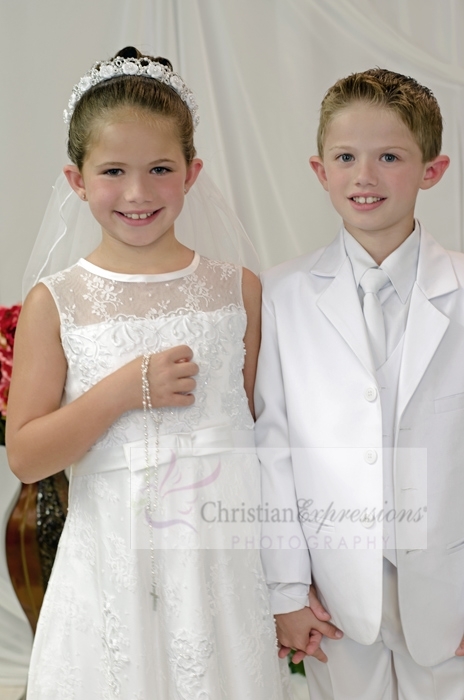 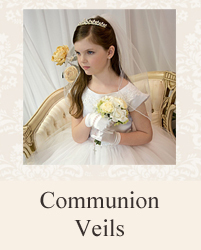 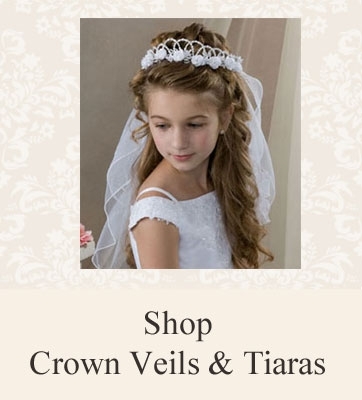 We carry Girls first communion headpieces with attached veils or separate tiaras. 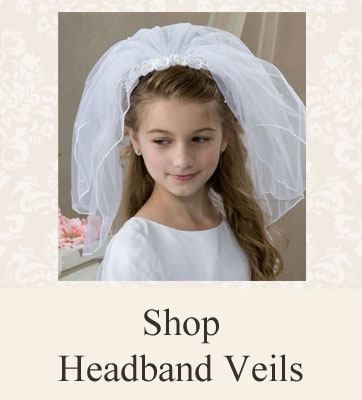 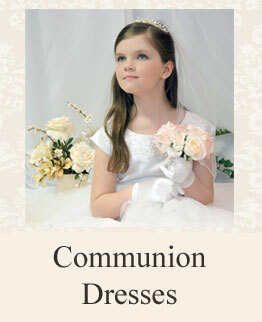 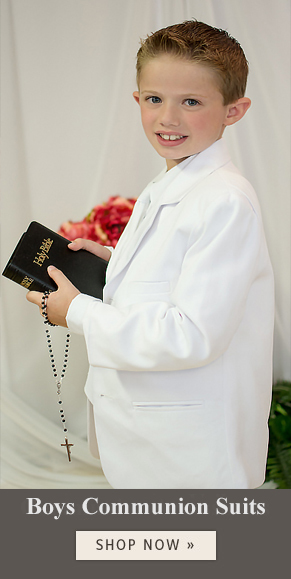 Christian Expressions stocks our white communion veils for fast shipping Everything you need for your child's first holy communion.